One of the standard objections made by Reformed people to natural theology invokes ‘presuppositionalism’. Extremes may meet; and they meet here. At least some presuppositionalists think (or thought) of Karl Barth as having propounded a ‘new modernism’. Nevertheless they, every bit as much as Barth, shun natural theology on theological grounds. In my experience invoking 'presuppositionalism' is the cue for a dense fog to descend and for confusion to reign, My aim in this short post is to try to apply a little de-mister by distinguishing three kinds of presuppositionalism. I shall deliberately not attempt to pin any one of the three onto anyone. This is to prevent libel action and is, moreover, based upon the principle ‘If the cap fits then wear it’. That these three variations on the theme of ‘presuppositionalism’ are not routinely distinguished by the purveyors of ‘presuppositionalism’ is, I find, a vexing matter. There is in this sense, a level playing field. But a level playing field of what? Of relativism? Not necessarily, for one thing that is often forgotten in this litany of presuppositions is that it is possible to eliminate bias (that’s another word we may use). Not to eliminate all bias, but a good deal of it. We may, if we wish, wallow in relativism or on subjectivism. But on the other hand we may choose not to, and choose instead to do our best to eliminate bias or subjectivity by checking, testing, having second thoughts, consulting experts, by consulting the historical record, and so on, and on. I think that when presuppositionalism first reared its head in conservative, confessional, theological circles, it did so in a world that was rather naive about the fact that presuppositions have proved to be as rampant as they have. Or maybe the world has changed in the meantime. Anyhow, presuppositionalism in this sense has become prominent; a fashionable, contemporary, post-modern thing to chatter about. Presupposition = narrative = world view. Secondly, there is what I shall call the theological sense of ‘presupposition’. Traditionally, this has gone under a differ guise, the principle that Holy Scripture is both necessary and sufficient for all matters to do with faith and life. Some nowadays shamelessly call this ‘theological foundationalism’ or ‘Christian foundationalism’ and that is indeed what it is. And, as far as the use of ‘foundationalism’ is concerned, none the worse for that. Our faith is built on the foundation of the prophets and apostles, Jesus Christ himself being the chief cornerstone. And if people wish to say that Scripture is where nowadays we find that first primitive and authentic deposit of our faith, then who are we to complain? All clear? But just a further word, if I may. Ask yourself the question, ‘Foundational for what?’ Foundational for Christian discipleship is one thing. Is Scripture theologically foundational for that? Clearly not. A person may be a disciple while not knowing even whether there be such a thing as Holy Scripture. Remember the thief on the cross. And the hymn 'There is life for a look at the Crucified One'. Is Scripture foundational theologically? (Something that the dying thief did not have much time to practice). Yes indeed, that’s the principle of Scripture’s sufficiency coming into play again: a canon, a foundation, a supreme authority. Are there other, lesser authorities? Yes indeed. The councils, the confessions, the fathers, the puritans. But one supreme theological fountainhead and touchstone – Holy Scripture. Then, finally there is what I shall call hard line or high road presuppositionalism. Here the key phrase is ‘Only by…’ So we hear ‘Only by presupposing the infallible or inerrant Scriptures shall we demonstrate the irrationality of all non-scriptural positions’ (or some variant of this). It’s the ‘only by’ that is of interest, along with the bold claim that is made for acting in this ‘only by’ way. There is something very wrong here. It is not the boldness of the claim, nor the circularity of it, but the rashness of it. I invite you to listen in to this exchange. Think of the Bible, for a moment. There it is, on the table. Er.. No, sorry, it’s on the chair. That’s what we are presupposing? Are you sure it’s the Bible on the chair? I could have sworn a few minutes ago that it was Gulliver’s Travels. No, it’s not the Travels, it’s the Bible. See! Would you open it, please? But what I’ve opened seems to be in English, all the way through. I thought that the Bible is partly Hebrew, partly Greek. Oh, it’s an English translation of the Bible. Fair enough. How do we know it’s an English translation? Accurate? A number of things are going on in this rather roughly-constructed bit of dialogue. There is a recognition that the Holy Bible is a material object, like a table or a chair or Gulliver's Travels, though with the added complication (if it’s an English Bible) that it is a translation of the original versions of its 66 books. When we take up the Bible, come to understand some of it, come to trust its promises and to fear its threatenings, we must use our senses and our minds to help us to do this. The Bible is not a Platonic reality, even when we refer to it as the ‘Word of God’. It is not free from the vagaries and perils of sense-experience, something which has immediately descended from heaven and entered immediately into our souls. So we need to be able to trust our sense experience, and (if we are of a philosophical turn of mind) to have a reason to trust our senses, and similarly with our intellects. The hard-line presuppositionalist may say; but if the Bible’s account of things is true we each of us have reliable senses and intellects in virtue of us being created in the image of God and upheld by the undeserved goodness of God despite our fallenness. Yes, indeed. But to play that card at this point is a mistake. It is to confuse the order of being with the order of knowing. It is true that reliable senses are part of the vestige of the image of God in us, but in the order of knowing, at the stage when we are identifying the Bible and readings its pages, we don’t know that yet. We know that only when we have opened our Bibles, understood them and believed what they say, and so far we have not reached that stage. We only reach that stage if we first trust our senses and our minds. Perhaps we could, by a leap of faith, believe that the book on the chair is God’s word, and we could by another leap trust our senses and intellect, read the Bible, and by a third leap of faith trust its promises and tremble at its threatenings. That would be five star fideism, to be sure. Perhaps we may do all that. But I cannot imagine that hard-line presuppositonalists would find much comfort in the fideistic briar-patch that this Herculean effort would land them in. 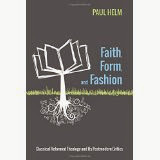 But if we need an epistemology, and cannot, without circularity, draw it from the Bible, where do we obtain it? How is an epistemology to be had? Maybe here we have another presupposition of the hard-line presuppositonalist. In order to get going and to be thoroughly biblical in doing so we need to be equipped with a fully biblical epistemology. For only in possessing and using a fully biblical epistemology will we be consistently biblical. Only then will the sufficiency of Scripture be accorded its due. Well, I believe that we should hold this presupposition up to the light of day, as well. No doubt, or perhaps, there is a true and properly human epistemology, God’s epistemology for humans. If so, we don’t possess it, not at least in the way that we possess God’s way of salvation for humans. What we do possess are various alternative epistemologies, and combinations thereof. There are Stoic and Platonic and Aristotelian and Rationalist and Empiricist and….epistemologies. Part of the genius of Reformed theology, until the bug of hardline presuppositionalism and other kindred ills began to bite, was its eclectic philosophical spirit. 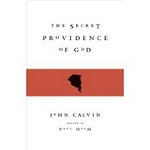 We find this in a fountainhead such as Calvin, and more generally among the Reformed Orthodox, and Richard Muller in particular has pointed out. We find it also in today’s ‘Reformed’ epistemologists. Plantinga and Wolterstorff draw from Calvin and Thomas Reid and Roderick Chisholm and Alvin Goldman, to look no further, in order to articulate an epistemology which is (as far as I can see) consistent with Reformed theology and which provides reason for trusting our senses and intellects as we reach for that book ‘The Bible’. There are various ways of articulating and defending our sensory and intellectual capacities in their role as gatherers of reliable information about the world around us. None of these is ‘biblical’ in any direct sense, of course. We cannot lift an epistemology off the pages of Scripture as we can lift a doctrine of justification off them. The epistemologies that have been used, in the history of Christianity, are at odds with each other, though parts of one are not necessarily at odds with parts of others. What matters is that we have reasons that support our belief in the reliability (though not the infallibility, of course) of our epistemological equipment. This will be sufficient to identify a book as the Bible, and to read and understand some, if not all, of what it contains. And then we are in business.